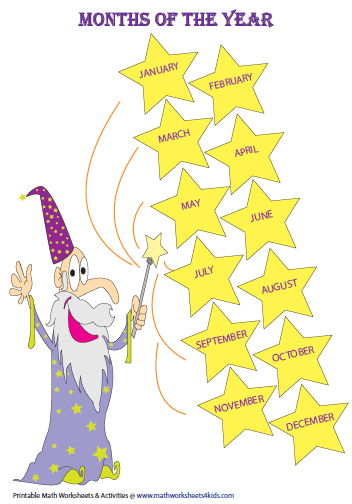 This page contains printable charts of days, months and seasons in different attractive themes. It also includes practice materials like filling the blank charts, partially filled charts, and calendar worksheets based on days of the week, months of the year and seasons of the year. 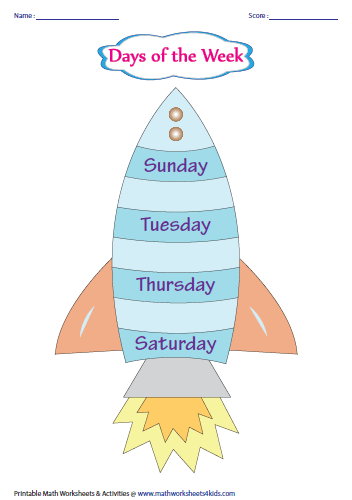 Kids can look through these colorful printable charts on days of the week. The charts are illustrated in three distinct themes. Print these unique and attractive charts on months of the year and paste them in a study room / classroom. 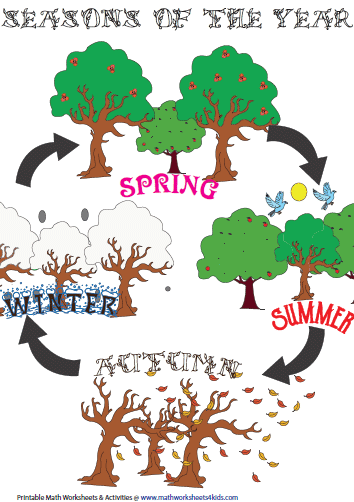 Seasons of the year are depicted in these charts in different tempting themes for kids. 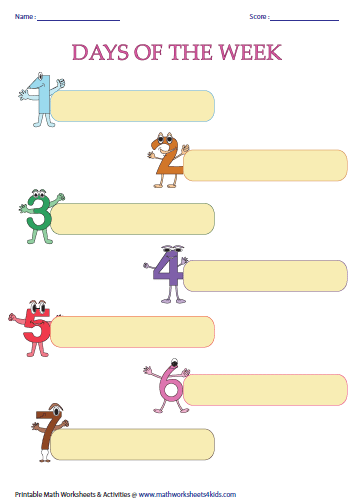 Kids may refer the above printable charts and work on these blank charts. They should fill the blank charts with days, months and seasons. Days of the week are partially filled in these sheets. Complete this activity by filling in the missing days. 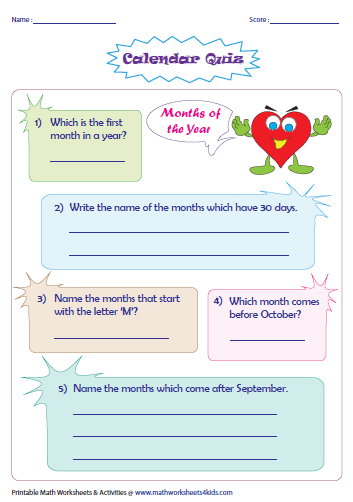 Fill in the missing months of the year and complete the worksheets. 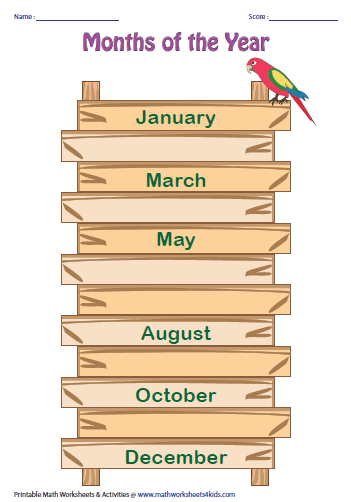 This practice will make the kids thorough in knowing the months of the year. 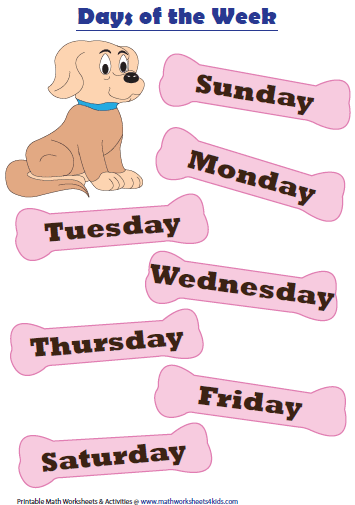 Complete the blank charts by writing the seven days of the week and twelve months of the year. 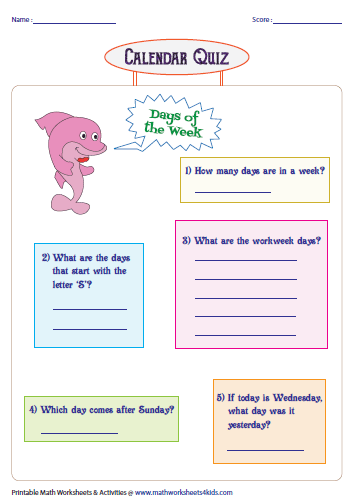 The kids may try these worksheets to test their knowledge on days of the week. The students may check their understanding on months of the year by practicing these worksheets. These worksheets are exclusively based on the four seasons of a year.